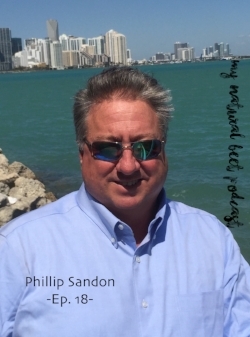 Welcoming Law Professor and Bar Coach Phillip (Phil) Sandon to the My Natural Beet Podcast! My final semester of law school, December 2014, I was in Professor Sandon's bar prep class. Sitting in his classroom day in and day out, I did not realize his unique approach to bar exam preparation. I also did not realize how thorough his experience and expertise was regarding the material on the bar exam. It was only after I finished the course that I realized that I should have heeded to ALL of his advice on how best to situate and prepare myself to learn and understand the black letter law. Preparing yourself for the bar exam can quickly start to feel overwhelming. I know this from experience - I prepared three separate times. While you might be in the interim waiting for your results period or you might be gearing yourself up for the July examination, it is never too early to begin thinking about how to utilize stress management, mindfulness, and organization to set yourself up for success. Bar exam or not these tools are critical in practicing law and, I would argue, in staying on top of the tasks and challenges that you face daily both in your professional and personal life. If you are interested in support in this area of your preparation, please feel free to contact me! Utilizing and mixing the above mentioned tools with a solid foundation and approach towards learning and applying black letter law, you soon have a recipe for success! This is where Phil's work comes to play and how I realized, over time, how niche and special his work is. When you are preparing for an intense two day exam it helps to feel as if you have studied, read, and (hopefully) remembered every testable concept under the sun. As a professor, Phil helps you to do exactly that! Last December, we sat down together and had this conversation. I was able learn more about Phil and his work with students as they prepare for the bar exam. Phil has been teaching and bar coaching since 1998. He finds his role as a bar professor and coach to be rewarding financially as well as gratifying in helping people succeed in their goals. You might even wonder how he began to teach students during this unique preparation period, if you listen to the episode you will find out! After years of experience, Phil also includes a few tips that might contribute to your success. Professor Sandon's voice used to accompany me at all times of the day when I was studying for the bar - from when I was walking outside for fresh air to before falling asleep - (I recorded a lecture or two ;)) so I hope that you will enjoy our conversation and perhaps take something away from it if you recently sat for the bar or will soon sit for the bar. "If you don't have goals, how do you know if you have succeeded at all?" "If you don't have goals, how do you know if you have succeeded at all?" - Professor Phil Sandon.